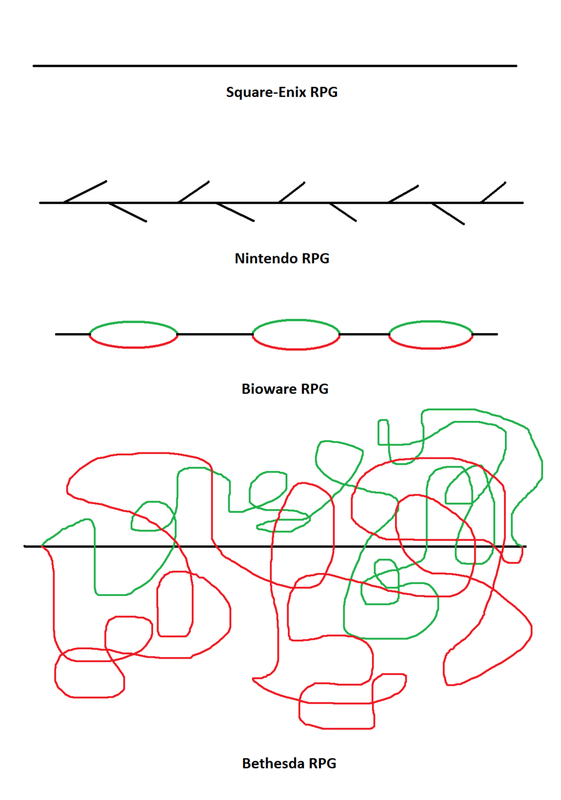 Thanks to user lazytothinkofaname on Reddit who made a graphic spelling out what it's like to play RPGs from different respective developers. I think my favorite kind might be Nintendo or Bioware. Head over to the Reddit thread if you want to sound of on it.